As with The Lost Honour of Katherina Blum, Bonjour Tristesse and Francoise Sagan were unknown to me before I began my reading challenge. Similarly to Heinrich Boll’s novel, discovering another non-English novel has been a delight and feels well overdue. With the title lodged rather firmly in my head, I happened upon an old copy of the novel at Tynemouth Book Fair (well worth a visit) and bought it for a few pounds, knowing nothing about it. The cover features a young girl that’s more than reminiscent of the 1928 film The Passion of Joan of Arc. On further reading, the edition I found is from 1974 and was translated by Irene Ash. 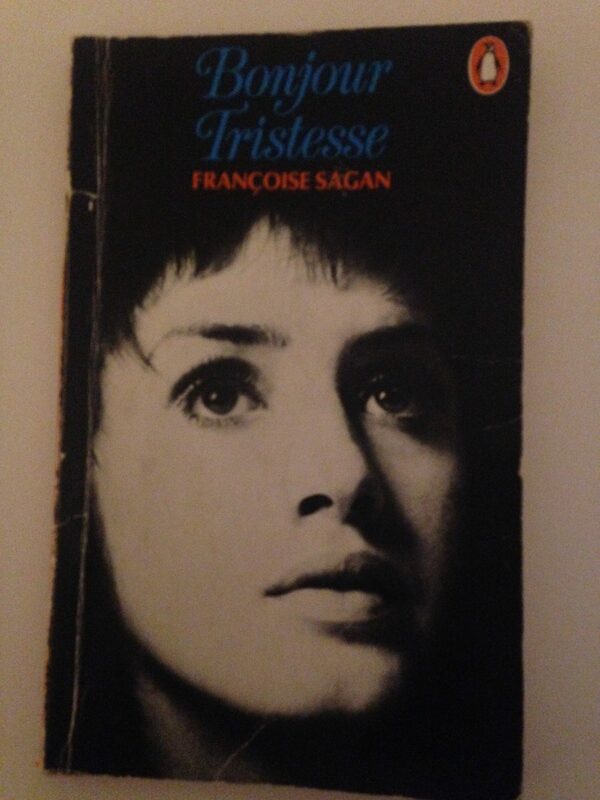 Written when Sagan was just a teenager, Bonjour Tristesse would remain popular throughout and beyond Sagan’s life, with all future works inevitably compared to her first novel. The book was filmed in 1958 and released to a middling response at the time, but has since grown in stature. The plot of Bonjour Tristesse is little more than a short story. It follows the thoughts and manipulations of a girl, Cecile, spending the summer with her father and two women competing for his affections. Fearing the end of her easy life when one woman stakes her claim on her father, Cecile plans to end the relationship. The great success of the novel is not the slight plot, but the atmosphere Sagan builds within the mind of Cecile. Her desperation to cling on to what was already a quite soulless lifestyle and the lengths she will go to make for a strange mix of understanding and pity. It’s easy to connect with Cecile, even when her actions go beyond our own experience, simply because they are such human actions. Reading the novel, a nagging familiarity played in my mind and it was only in researching this review that I understood what it was. As Richard William’s writes in The Guardian, Sagan’s “acceptance of melancholy [is] more reminiscent of F Scott Fitzgerald than of her French literary heroes.” It is, as is The Great Gatsby, a short and sad tale. Easily readable in a single sitting, Bonjour Tristesse is an enjoyable piece of mood literature. Its depiction of the depressing lengths some will go to to protect even a sad life is perfectly written and captures brilliantly the energy and misery of youth. Bonjour Tristesse is one of Le Monde’s 100 Books of the Century. Francoise Sagan was born in France in 1935 and published her first and most famous novel Bonjour Tristesse at age 18. Sagan died in 2004, aged 69, after writing 20 novels and several plays.